Silky Soft Roving 90/10 Mohair wool top 4.4oz "Spring"
These coupon codes are always in effect, please feel free to use them at checkout! FOR INTERNATIONAL SHIPPING, PLEASE SEND ADDRESS BEFORE YOU PURCHASE SO THAT WE CAN FIGURE THE CORRECT SHIPPING TO YOU! Great service and beautiful fibers. Love it, will be back. Thank you! 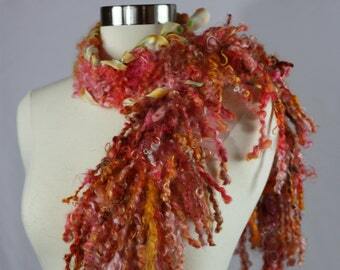 Producing fine mohair, hand dyed and painted silk scarves, acrylic paintings and wooden creations. In early 2010, Marily's Mom had a stroke, at the time, she was living in Florida and her mother in Michigan. Without a second thought, she packed up and moved a few of her prized possessions, and her bed, and left her grown children and grandchildren behind in Florida to care for Mom. Since Marily and Chuck have been a couple for a long time, he came with her. Mom lives on 70 acres in beautiful Sherman Hills twp of southern Michigan and Marily had grown up here and had horses when she was a teenager, so, this was home. After giving up her business in 2006, a bar and nightclub on the outskirts of Fort Lauderdale, she began searching for her passion. A few years of painting in acrylics and then searching out her passion for animals on the internet, got her thinking that she wanted to raise Alpaca's. A lot of research led her to sheep, and eventually, the Angora Goat, raised for their gorgeous mohair. She knew that she had found her passion and purchased 8 goats in the summer of 2010 from a large breeding farm in Missouri. The goats have become her best friends! Chuck in the meantime has found some interesting pieces of wood on the property and has fun placing recycled glass into them to create unique pieces of art! Marily raises the goats and shears, washes, dyes, cards, and spins mohair, and paints with acrylic, while Chuck works on his wooden creations in his spare time. Stack A Rock Ranch is a small operation that is concentrating on raising fine Angora Goats. We have a small herd of championship bloodlines and will be growing slowly in order to concentrate on animals that produce the finest fleeces. Our goats have many acres to roam on and plenty of vegetation to eat, and this is why you will find a little bit of VM, or vegetable matter in our products, it just comes naturally. We shear our own goats and process all of the fiber ourselves so that we know you will be getting a quality product from us. We also use earth friendly detergents and do not add scents or perfumes to cover up the natural aroma of the mohair. Our home is non smoking and pet free! We know you will love our products! Refunds will be given when the item is returned in it's original condition, purchaser must pay for return shipping costs. No refunds for lost or stolen items. Payment is expected at time of purchase. If you wish to reserve an item, please message me and we will work it out. Taxes are the responsibility of the purchaser. Cancellations will be allowed if item has not shipped. We will ship Internationally, provided you send me a message first so that I can figure shipping costs! Message me if you want to upgrade to a quicker method than parcel post. Most items ship through USPS.